Tips, tricks and eCommerce inspiration from WooCommerce experts. Get your arts and crafts store online today. For free. 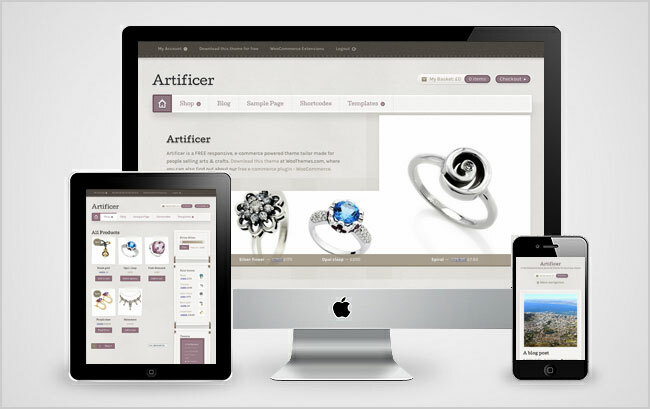 Artificer is a WooCommerce theme with an arts & crafts aesthetic designed for sole traders and small startups looking to sell hand made products. Of course there are alternate stylesheets for other types of stores, plus the theme is responsive placing it right into the hands of your customers thanks to mobile optimized layouts. Best of all it’s 100% free! An incredible amount has happened since we launched in July 2008, as we mentioned in our 3rd birthday blog post. Today marks another monumental milestone we are hugely proud about – our 100th theme release.